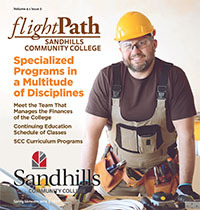 College and Career Readiness classes through Sandhills Community College provide educational opportunities at no cost to those who need a high school equivalency diploma or those who need to improve their academic skills. Each program is designed to meet students’ unique learning needs. Classes are available during the day and evening hours at several convenient locations in Moore and Hoke Counties. Two-day or three-night orientations are required. Day and night orientations offered monthly in both Moore and Hoke counties. Students will be placed according to their ability and with a valid score. To reserve your seat for an upcoming orientation in Pinehurst, call 910-695-3980; or for Hoke County, call 910-875-8589. We offer “Adult Basic Education” classes for the Beginning, Intermediate and Advanced adult learners to help them improve reading, writing, math, spelling, and language skills to fulfill educational and/or career goals. “Adult Basic Education” will be held Mondays-Fridays from 8 a.m.-2 p.m. and a second class will be offered Mondays-Thursdays from 8 a.m.-2 p.m.
“High School Equivalency Diploma” is designed for adults who did not complete a high school education or who wish to strengthen their skills before pursuing post-secondary education or employment. Sandhills Community College currently offers official GED® and HiSET® testing services. “High School Equivalency Diploma” will be held Mondays-Thursdays from 8 a.m.-2 p.m., and an evening class is offered Mondays and Wednesdays from 6-9 p.m.
“Adult High School Diploma” provides academic courses to students working toward completing their high school diploma. Classes are offered in a lab setting and provide course work in English, mathematics, social studies, science, and electives. Students are placed in courses based on previous high school transcripts and assessment scores. “Adult High School Diploma” classes will be held Mondays-Thursdays from 8 a.m.-2 p.m.
“English Language Acquisition” is for adults who have limited or no proficiency in the English language. For more information or to schedule an ELA orientation, contact Isabel Cain at (910) 246-4975. “English Language Acquisition” will be held Mondays-Thursdays from 8 a.m.-1:30 p.m. and an evening class is offered Mondays and Wednesdays from 6-9 p.m.
Students must qualify for this class format. Students will need computer or tablet and Internet access. Must complete 10 hours per week and attend traditional classes two Saturdays per month. 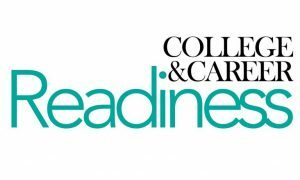 For more information, contact Isabel Cain at (910) 246-4975 or cainm@sandhills.edu. Seats are still available for these classes. To register in person, stop by the Sandhills Community College Continuing Education office located on the first floor of Van Dusen Hall. You may also register by phone at (910) 695-3980. Registration hours are Monday through Thursday, 8 a.m. until 5 p.m. and Fridays 8 a.m. until noon.